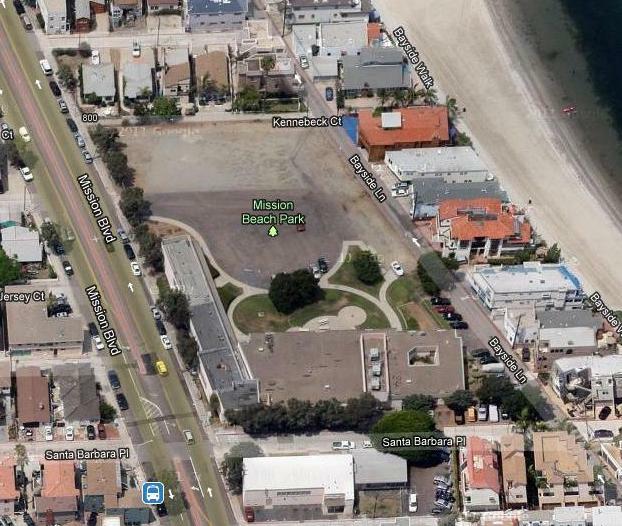 There is still the Mission Beach Precise Plan (community plan) that must be addressed. The plan designates the property for community facilities such as school or library. I believe there will need to be an amendment to the community plan for a change to residential, underlying residential zoning notwithstanding. Consult with Mayor Filner on this as I believe he has made statements in the past that community plan designations trump underlying zoning (or something to that effect). Aha! I bet the District will argue for some kind of “exception” – and adverse decision to the District will then to to the Planning Commission – and then what happens? There is a strange switch here; on one hand you have Richard Barrera – progressive who wants in general to strengthen the public sector – now advocating the sale of public lands to private hands; and on the other hand, you have Scott Barnett – traditional ‘no taxes’ and no-big-government activist – now wanting to preserve the land from going private. My personal opinion? From its inception this SDEA and CTA-backed School Board of Barrera, Evans, Beiser (formerly Jackson and now Foster) has watched its own bottom line — campaign funding and shoe-leather assistance for elections — above all else. This Board has backed and filled, temporized, rescinded votes and changed direction on so many important matters before them that it is dizzying — and has had damaging results. 1) Despite the lip service paid “it’s all about the children,” class size has increased every year — while teachers continue to get automatic annual step-and column raises as well as promises of percentage wage increases in the contract. Soon we will see the lion’s share of the Governor’s Prop 30 “new” money be used for teacher pay-raises here in San Diego. 2) This Board has never had the courage to insist on modified union contract requirements about last-hired-first-fired-seniority-rules that devastate newbie faculties at low-income poor-performing schools when pink slips are issued. (Contract rules about seniority also mean that experienced teachers get first dibs on assignments and so are disproportionately at schools North of I-8. 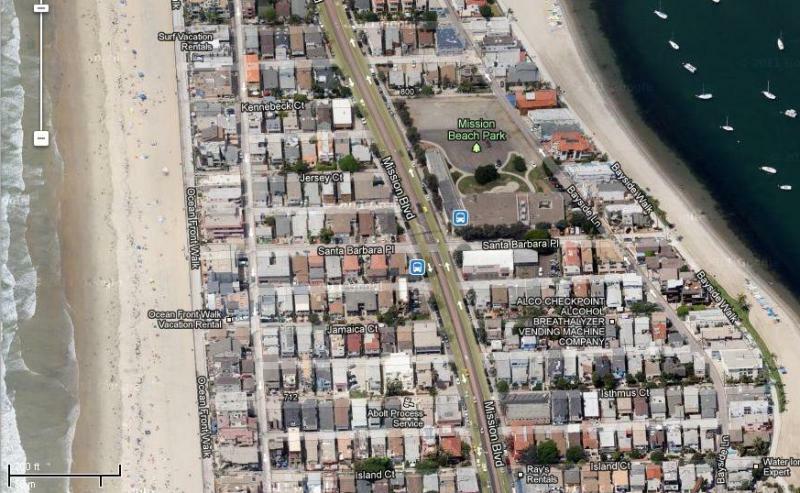 3) This Board absolutely does not “get” its role as conservator of public school assets — such as the Mission Beach property it egregiously sold off this week to a developer. Other properties also are slated to go on the block. The Board runs up debt, listens to rotten advice from staff, and squanders the community’s patrimony. 4) As part of the Board’s strategic perpetuation of teachers’ union hegemony (and their personal political career hopes) it has named two superintendents who lack full credentials for the complex job. One is an unassuming retired Navy Admiral who is good at operations but not education; the other, a charismatic newish elementary school principal who is has no business savvy for running a one-billion-dollar operation. I was at that School Board meeting and urged just one other trustee to vote with Scott Barnett to put the kibosh on the Mission Beach sale, to find a better solution, to work with the Mayor. Not a chance. It was disgusting. 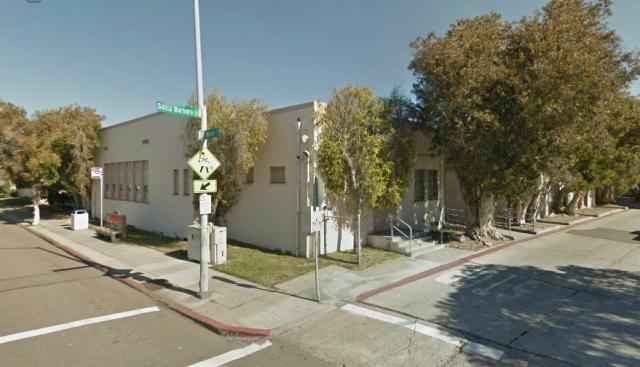 Such a shame to attack the budget by selling this historic property when there are so many entitlement programs that could have been adjusted, well Mission Beach enjoy all your new traffic and crime.